In my most recent training serious for an MNC with German roots which has subsidiaries in the USA, The Netherlands, and India, a common source of cultural misunderstandings between East and West could be identified as major culprit for difficulties in collaboration. The global director production of that MNC who had initiated the training series had coined a fitting name for this Eastern phenomenon - offer-commitment. After having elaborated on the usage of behavioral traits in cultural trainings in the last article I would like to use these traits to analyze offer-commitment, shed light on the intercultural differences, and offer solutions to collaborate successfully in spite of these. 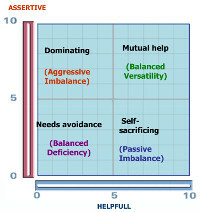 On the left you see the paradox of power containing the following two traits: ASSERTIVE and HELPFUL. The Harrison Assessments report defines the first as «The tendency to put forward personal wants and needs» and the latter as «The tendency to respond to others' needs and assist or support others to achieve their goals». According to the paradox theory™ of Harrison Assessments a balance between these two traits where both traits are equally strong would be the ideal and is called MUTUAL HELP. Both traits being equally weak would mean that such persons avoid needs altogether. A person who is just being ASSERTIVE without being HELPFUL whatsoever would be considered DOMINATING, i.e pursuing selfish needs against resistance from others. On the other hand, someone who is overly HELPFUL, without any regard for their own needs, i.e. without being ASSERTIVE, would be SELF-SACRIFICING and only helping others to fulfil the needs without considering his/her own. The phenomenon of offer-commitment is difficult to describe with cultural dimensions but easy to grasp when using personality traits. Different cultures have different value systems that are based on different underlying assumptions that have proven successful in a culture’s history. That entails that some cultures encourage the display of certain behavioral traits in certain contexts where other cultures would discourage it in that context and favor a different behavior. There exists a very fascinating relationship between cultural standards and personality traits. When training the Western and Indian branches of that MNC the participants from each region observed the phenomenon offer-commitment each from a different angle. Participants from Germany, The Netherlands, and the USA complained that their Indian colleagues would be agreeing to tasks but would not follow through and would not meet deadlines. Indian participants, on the other hand, felt pressured by Western colleague and sometimes even bullied. So much so, that they found themselves agreeing to tasks without checking beforehand whether the task would be feasible. Communication between the Western branches and the Indian branches was not always easy and caused some grievances. How does offer-commitment work? First of all, we assume that all parties involved have the best intentions, are committed to their jobs, and have a genuine interest in good relationships with their colleagues from countries abroad. After getting to know many of the employees of that MNC in the course of the years of my involvement, I feel safe to say that in most cases these assumptions are true. In many Western companies an organizational culture is prevalent, where employees are expected to show a great deal of identification with the task they were assigned to using a rather self-centered language with a lot of first person pronouns: «I want this!», «I have to do this!», «Can you do this for me?», etc. In many Indian organizational cultures that kind of language would be used predominantly by higher-ups who are actually the task-assigner and not merely the task-executors. The identification in Indian organizations tends to rest more with the task-assigner than with the task itself who will always be responsible to see that the task is executed properly and will overview the resources necessary for the task to be finished in due time. The impulse to offer is on one hand a reaction to the by displayed and perceived ASSERTIVENESS by the Western colleagues and on the other hand culturally dictated politeness of many Asians that disapproves of blunt rejections and calls for an offering of help by accepting the task – at least outwardly. Though the direct wording might be «Yes, yes, I can do that.», body language, word speed, the timbre of the voice, etc., would give away to any trained ear that it was simply an offer out of politeness and a reaction to overt ASSERTIVENESS and not an actual commitment to the task at hand. 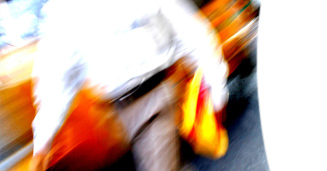 Being used to communication cultures where FRANKNESS is not perceived as BLUNTNESS and where DIPLOMACY is not in high demand in most contexts the Western colleagues usually have difficulties deciphering the hidden messages of their Indian counterparts. Taking the direct meaning of their Indian colleagues’ reply as the sole meaning they think that they have gotten a commitment on the task and happily close the call. Often without following up on the progress of the task the Western employees wait for the result to be send in upon the passing of the deadline – only to be disappointed. Though many of the Western employees have learnt to follow up sooner, many times the results are the same. A solution is needed as neither the Western nor the Indian colleagues found the collaboration especially easy. The Indian employees felt often bullied by their Western counterparts, whereas the Western side felt they had to do everything themselves as their Indian colleagues were unreliable. Productivity as well as the working climate suffered. As part of the solution we have conducted training programs in Germany, the Netherlands as well as in Japan and in India. 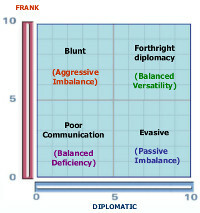 In Indian the training program had the objective to better balance HELPFULNESS with ASSERTIVENESS as well as DIPLOMACY with FRANKNESS. Instead of saying «Yes» right away we practiced in role plays using phrases like «As much as I would like to help you, I cannot accept the task right away, I have to check the facts first and confer with my superior and my colleagues. I’ll get back to you tomorrow!» Adapting to the communication style of another culture is, of course, more than just learning phrases, but these offer good steppingstones until one has internalized balancing opposing traits. Alongside the role plays inputs were given where we discussed what behavior is considered acceptable in the organizational cultures of the Western branches. The training program for the Germans and the Dutch had a different objective. They were asked to balance their ASSERTIVENESS by being more helpful as well as using language that sounds less FRANK to Indian ears and to balance their FRANKNESS with more DIPLOMACY. In the training program we also trained our disciplines to be more perceptive to in direct communication. Training programs like this serve to initiate organizational as well as individual learning processes. The learning processes exceed the duration of the training by many, many hours and is only successful, if pursuit with persistence and organizational backup. Balancing one’s style of communication is far more easier than to change the cultural assumptions that are the foundation of an organization as with the differences in identification with either the task/or the task-assigner. Knowing about this differences and adapting to them by using balanced communication is very feasible option for every member of an international team.